Endeavor selects and supports extraordinary emerging-market entrepreneurs who have the potential to transform industries, communities, and even countries. Endeavor screens thousands of entrepreneurs each year and selects those with exceptional and high-impact potential. We select individuals of all ages, ethnicity and educational background, delivering a meritocratic message to the developing world: through hard work, creativity and values-driven leadership, individuals living anywhere, from any background, can turn an entrepreneurial idea into a world-class venture. Through a rigorous, multi-step selection process (3-18 months), candidates pass a series of local and regional interviews before presenting to panelists from our global business network at International Selection Panels held six to eight times each year. 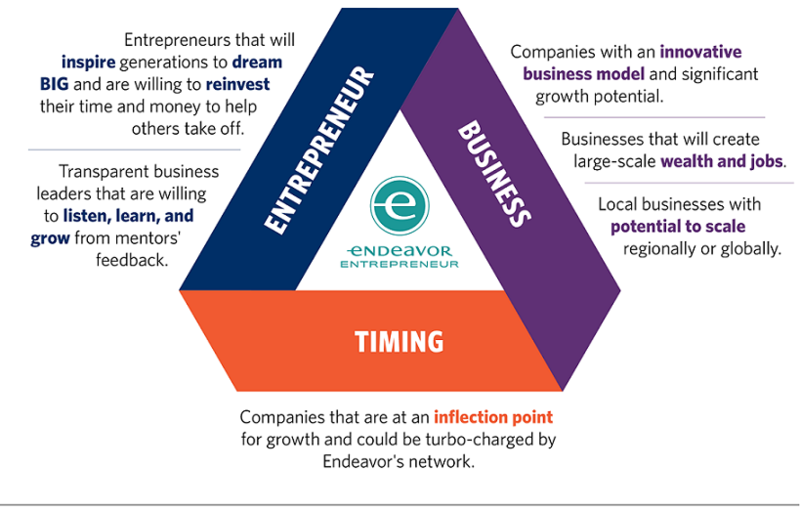 Endeavor has established a rigorous, multi-step process to identify and select entrepreneurs with high-impact potential. In addition to the regular selection process as outlined above, Endeavor Bulgaria offers a preparatory program to support entrepreneurs by leveraging local resources. Endeavor uses well-defined selection criteria throughout its multi-stage interview process.